I've wanted to try circular easel cards for a while and finally got around to it this week. Finished card is about 7 inches diameter, I've used a Stampin' Up! 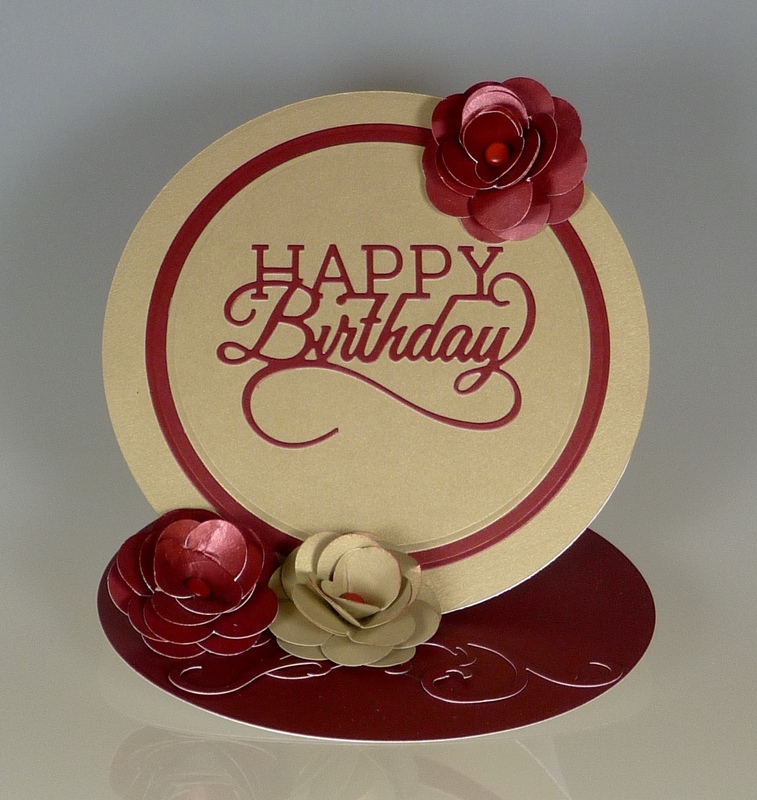 punch to make the flowers and the actual card was made using Spellbinders dies.